A decorative table lamp for indoor lighting manufacturer offers the Dutchman with the Carattere Grande. 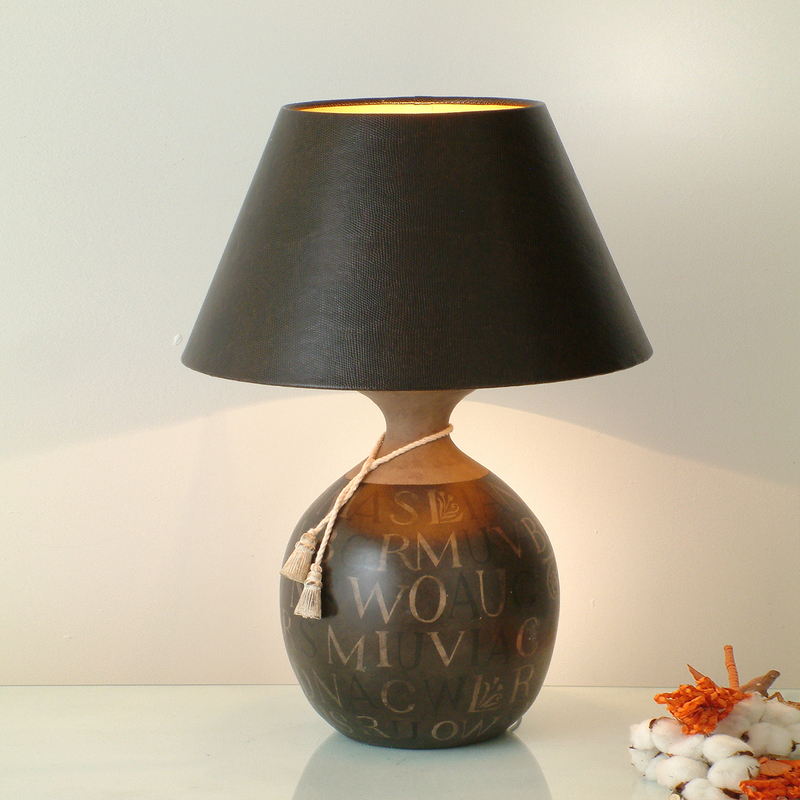 The bulbous ceramic body of the lamp is decorated with letters in beige and black, an interesting design image. To top this, the table lamp is provided at its neck with a decorative pendant, in the form of a loosely bound white cord. The conical lampshade in black lets the light escape indirectly through the upper and lower opening, the result is an evocative photograph, thanks to the golden shield inside surface with lizards optics still leaves a particularly sparkling impression. To design a lighting concept also other variants of the Carattere table lamp series offer.